Online branding for social media marketing success and establishing your business’s online presence is a key effort to make and guarding your efforts becomes even more crucial due to the publicity your business has the opportunity to incur, both good and bad. For many of your customers, your business’s first impression will be what they find on the internet. The most important thing you can do to make sure your business brand is getting the best recognition online through your business website, social media sites and search engines is to make sure whoever is working with your business fits into the brand image. It is so easy to look up people’s information now days and a sales or customer service associate that has an online presence that could be considered unprofessional, can reflect directly back to your company. While your employee’s personal social media sites are theirs personally, you can request that they maintain discretion in order to lower risks that your customers may find out information that would put your business in a poor light. When you are sure your staff is reflecting the brand name effectively, the next item to focus on is to make sure you are doing everything possible to promote your brand. Social media marketing, compelling content creation, search engine optimization and online sales and promotions will go a long way in helping to create an established online presence for your business. On a consistent basis, say once a month, Google your business name and see what comes up. If you notice any poor reviews that could hurt your brand image, address them at once. This is one thing that many businesses fail to do and the poor reviews end up showing up in the search engines when others are researching your business. Addressing them and resolving any issues will show them that you are willing to go the distance to make sure your customers stay happy. When you have staff that support your brand image with their own personal image you will create a comprehensive foundation for the online presence you are hoping to create for your business. When you are doing everything to market your presence will grow and become more popular as people get used to seeing your business name. 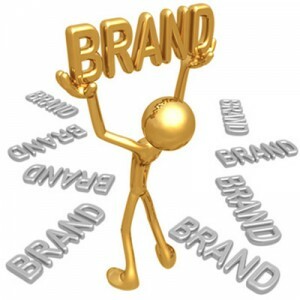 By addressing any issues, your brand will grow in the type of reputation that will start to convert to sales.